Jungle justice was meted out on a suspected kidnapper who allegedly abducted two children in Lagos earlier today. According to online reports, the suspect was caught while attempting to flee after allegedly kidnapping two children at Moshalshi in Orile Iganmu, Lagos. 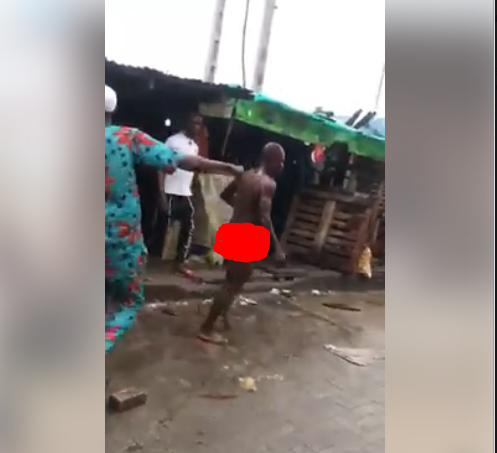 The youths of the area immediately mobilized themselves and mobbed the suspect with various weapons they could lay their hands on after stripping naked. 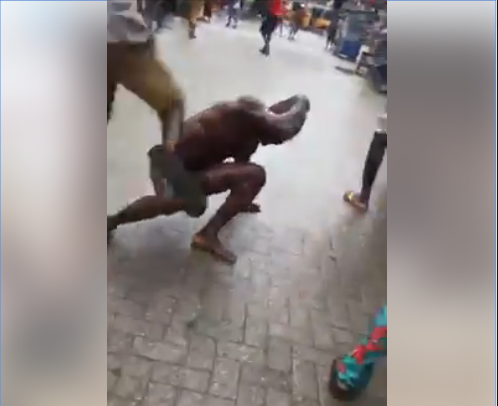 The suspect was later taken to the police station after much beatings from the angry mob. He should be thrown in jail and forgotten!